Hi! Today I want to talk about something that every entrepreneur faces at some point in their journey: delegating and hiring freelancers. Especially if you are a control freak like me, delegating is easier said than done! 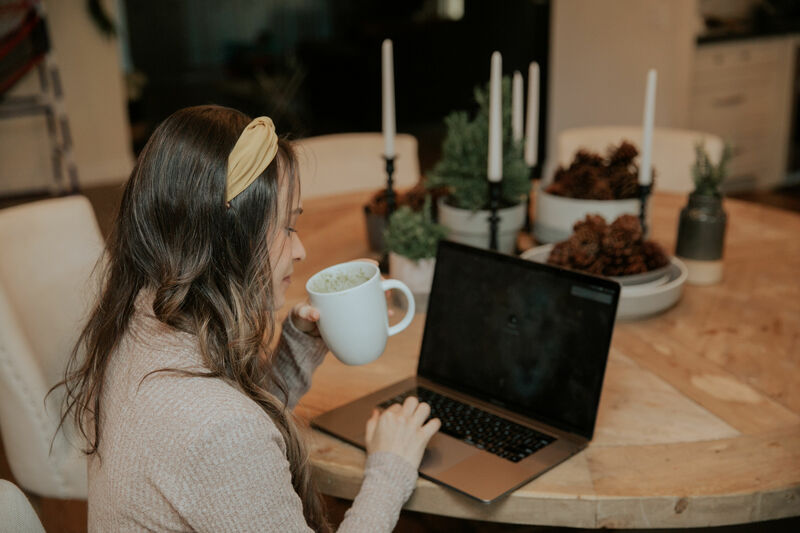 In the beginning stages of blogging and entrepreneurship, I wore many hats. 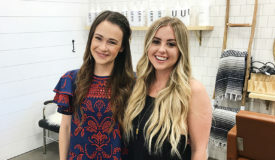 From taking photos to communicating with brands and more, I was always doing something to make my businesses grow. I’m sure many of you can relate. Whatever your business is, you start it from the ground up and you learn to do all the hard work that goes with it. This was true for me when I started Wela Creative Studio, Majka and Call Me Lore. But as those businesses developed, my to-do list grew with it and so did my frustration of not being able to keep up with everything. I became ineffective in time by trying to do everything. My passions became my business and I had to adapt to the growth that it entailed. Once you reach a point in your career that you feel you need help doing things that are essential but you don’t have the time or the right experience for anymore, it’s time to hire a freelancer. 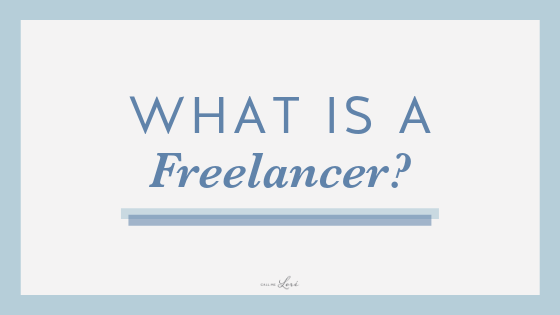 A freelancer can be a virtual assistant or people that you choose to help you with specific parts of your business. 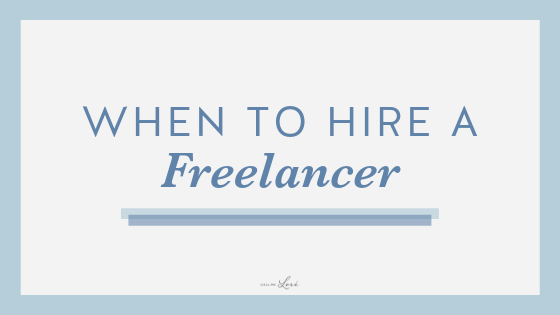 Read on to see when hiring a freelancer is the right thing to do and how to do it. For me, I love focusing on the strategy of my businesses. That said, the creative side like graphic design and photography isn’t necessarily my strength, haha! The beauty in this though, is that I can hire someone to do that for me, and do it better than I can do it. What are your strengths and weaknesses? Do this so that the people you bring in to help can compliment you and your capabilities. What are your priorities? Knowing this beforehand is helpful so you can tell them to your freelancer from the beginning. What will help your business grow faster? For example, maybe you are spending SO much time on your email that it is not letting you spend time growing your business. In this case, a virtual assistant that helps you with your email would be the right investment. As I said, hiring a freelancer can be such an amazing time saver. However, the time for one isn’t always right. When you are just starting out, hiring a freelancer may not be the smartest financial move. 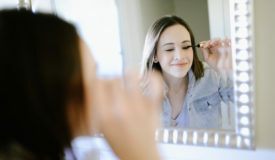 However, when your business picks up and starts growing, there becomes less and less time for the things you used to do. This is when it’s time to start thinking about hiring. 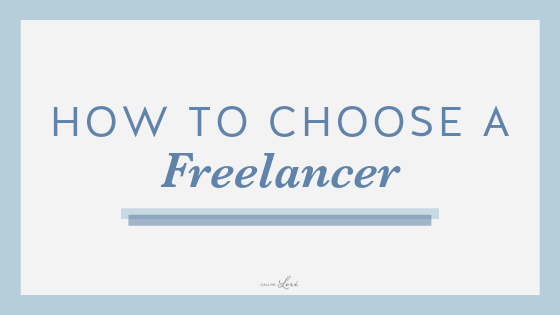 Hire a freelancer when you have a specific job for them to do. Do not make the mistake of bringing someone in to help just because you feel overwhelmed! Believe me based on my personal experience, hahaha! You have to identify a clear need and bring in the perfect person for it. If not, you will be even more overwhelmed by trying to delegate tasks to this person. There are a few key things to consider when trying to decide on a free lancer: style, price, and reliability. This may be one of the most important aspects. Find someone that matches your style. Freelancers, whether photographers or graphic designers, will have their own creative twist. It’s important that their look matches well with your brand. For me, it’s all about someone who understands the vision of how I want to present myself and my businesses. Looking at their online portfolio or Instagram to see their work can ensure you know what to expect. 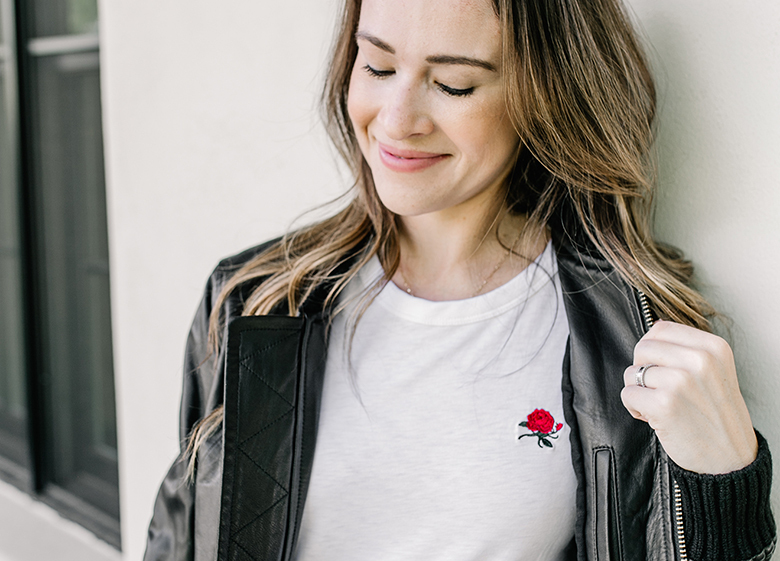 Style can also mean that this person aligns with the personality and voice of your blog or business. This is a big one. Make sure to budget well in order to put funds towards hiring a freelancer. 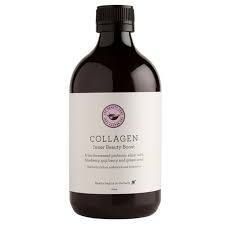 Do a bit of research ahead of time to see what the price points are. Then find out how much you are able to portion out towards this area. 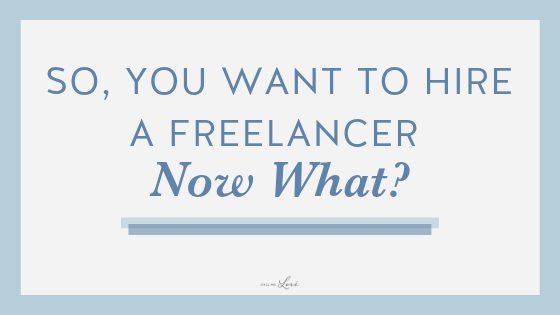 Remember, you don’t need to hire a freelancer right away, but once you reach that point, you’ll want to be ready. IMPORTANT: Hiring the cheapest person is not always the right choice. Don’t let cost per hour be the determining factor of who you choose. Attitude and skill are more important and will give you a higher return on your investment. A good idea is to hire someone for a trial period before committing for something long term. I suggest a 3 month trial period as there is a learning curve. 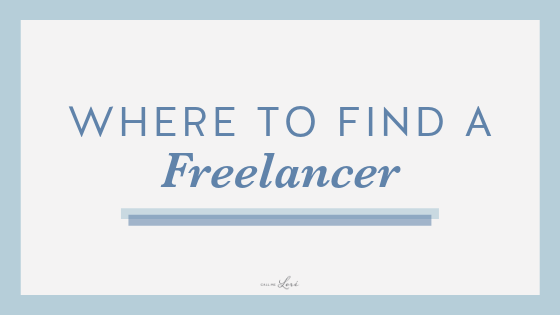 Now that you know you want to hire a freelancer, where can you find one? You can do this a couple ways. Instagram: The first way you can do this is through Instagram! Looking at Instagram is great because it is essentially all visual, so you can really get a feel of the freelancer’s style. From there, you can check out their website to see the best way to contact them, or send them a DM! Word of Mouth: Another way is through simple everyday communication. Even just telling others that you are thinking of hiring a photographer or someone to help with graphics is good. Often times the connections that other people have can help you find the perfect fit. Fiverr – With Fiverr, you can find freelancers in all kinds of areas! Things like graphic design, video and animation, video, writing etc. 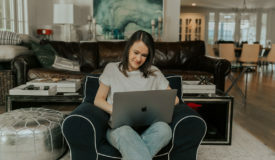 UpWork – UpWork is nice because you can do everything, like communicate with them and pay them, right through the website. Define clear expectations: What are you looking to get from them (the type of work they’ll do, their hours, attitude, etc.) and what are you willing to give. Spend time in training: I have learned that people are not mind-readers, so if you hire someone and don’t have time to spend with them in the beginning to discuss expectations, it will likely not work. Record training videos: If you are hiring someone to take over a specific part of the business that you have been doing, record some videos of yourself doing it so the new person can have them as a reference. Create KPI’s (Key Performance Indicators): Do this so that you and the freelancer know if objectives are being accomplished. We all have to work towards something. Then, once those objectives are met, we can get excited and celebrate!